Make It Your Goal To Eat Healthy Foods! There is truth to the expression that says, “You are what you eat.” I try to eat healthy most all the time, yet there are times I eat too much of the wrong foods, but I keep that to a minimum for my health sake. 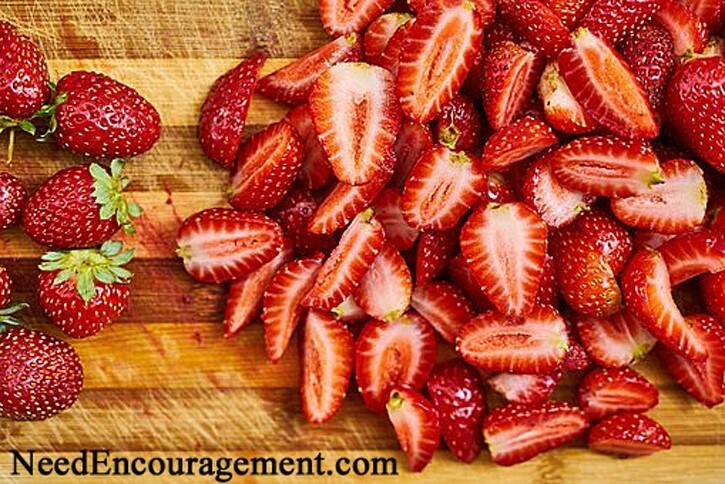 Here are some encouraging scriptures about eating healthy. Matthew 6:16 “When you fast, do not look somber as the hypocrites do, for they disfigure their faces to show others they are fasting. Truly I tell you, they have received their reward in full. How To Eat Healthy Food Plus Lose Weight! Most Americans Need To Try To Eat Healthy Food! Being Italian and after all the spaghetti I have eaten in my life, I thought this was worth sharing! There is a saying that goes something like this, “You are what you eat.” In that case, if you eat healthy food, you are going to tend to be more healthy. If you eat unhealthily, you are going to tend to be more physically unhealthy. Seems to be pretty logical and straightforward. Learn how to eat better food and more healthy food. Try to avoid fried, processed, foods with too much salt and sugar. I realize the importance of water in our diet, so I decided to drink 32-64 ounces of water first thing in the morning when I take my vitamins. Vitamins are an excellent supplement to our diet, and you might want to contact your doctor before you start taking vitamins. I take vitamin D, vitamin B complex. Other vitamins that are good to take are vitamin C, Zinc, and other vitamins depending on your own needs and health such as Fish Oil, etc. How should a Christian view weight loss? Healthy food is a significant factor in a healthy life! To Eat Healthy Food Is Vital To Living Healthy! Eat Healthy And Do It Daily! When you begin eating healthy, you will soon notice some functional changes in your health! What and how much you eat is critical also to your health! 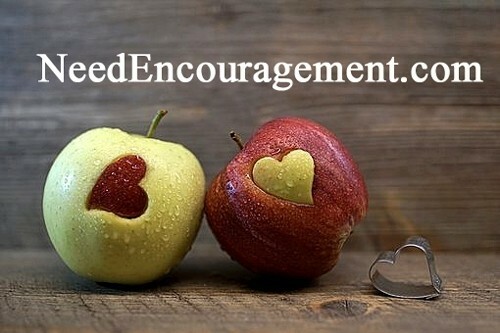 Have a friend help encourage you to continue your new choice in how you eat better. You will need help because it can get difficult sometimes. Be sure to chew your food enough before swallowing. In our fast-paced society, people tend to wolf down their food. I suggest somewhere between at least 8 and 12 chews per mouth full, and some say that up to 36 chews per mouthful. Use your common sense but be sure to chew more at least! 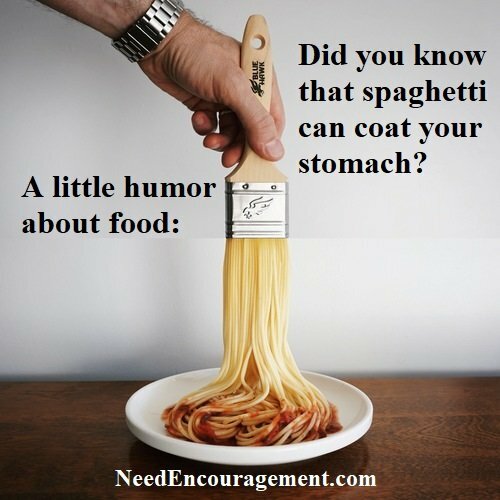 A little laughter can help you to digest your food. Besides that, it has a way of making eating healthy more enjoyable! Eat with family or friends when possible. Eating with other people has many social and emotional benefits. Chew your food slowly, savoring every bite. People tend to rush through our meals, forgetting to taste the flavors and feel the textures of our food. Reconnect with the joy of eating. I will say it again, how you eat is very vital to your life! Enjoy Food In Moderation, Eat Healthy Foods! What Can You Do To Eat Healthy Food? Question yourself if you are starving, by having a glass of water to see if you are thirsty instead of hungry. During a meal, stop eating before you feel full. It takes up to 20 minutes for your brain to tell your body that it had enough food to eat, try to eat slowly. Make sure you eat breakfast and eat smaller meals throughout the day. A healthy breakfast can jump start your metabolism, and eating small, healthy snacks throughout the day instead of the standard three large meals, keeps your energy up and your metabolism going. Avoid eating at night. How you eat, makes a big difference to our health. Studies show that this simple dietary adjustment such as eating only when you’re active and giving your digestive system a long break each day that might help to regulate weight. Don’t be shy, eat fruits and vegetables regularly. Fruits and vegetables are the real foundations of a healthy diet. They are low in calories and are packed with vitamins, minerals, antioxidants, and fiber. Make it a point to eat healthy starting today! The bottom line. People seem to want to make eating healthy more complicated than it is. Keep it simple by remembering that how you eat is crucial. Ask God to help you while you use common sense and self-control. 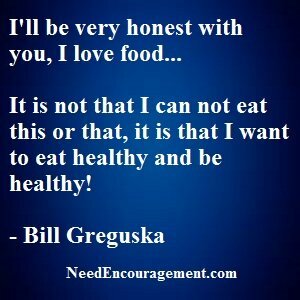 How you eat will significantly decide how you feel and how healthy you will be. Eat Healthy Food And Also In Moderation Is Vital! To eat healthy is a choice we all must make for ourselves, we can either benefit from our decision or suffer? It is up to each to decide! At 56 years old, I still tend to have a superb appetite myself, but I needed to learn to push away from the table and appreciate the excellent food that I just ate. Often people eat without thinking about the consequences, not even to mention the exercise that needs to be a part of good health. My dad used to tell me while growing up that anything to excess is bad for you which covers a whole lot of things. My father was very sensible, and lived a good life and lived to be 83 years old. On the other hand, my mom who was Italian kept on telling me to manja or mangiare (eat in Italian) more and she got me in the clean plate club for the rest of my life, now I watch how much food I put on my plate in the first place.